In a world rife with massive need, does the word ‘millions’ create an empathy gap? In our data driven world, numbers have become a part of our information landscape as we try to understand the magnitude of the issues that surround us. Reports of millions fleeing war and economic hardship, and millions more lacking access to education, implore us to feel compassion and empathy and to recognize the massive scope of need around the world. We are asked to do what we can to help in the name of our common humanity. We are asked to recognize that, but for circumstance, that child fleeing war or that girl unable to go to school because her parents can’t afford to educate both their daughter and their son, could have been you. It could have been your child. But for circumstance and place of birth. The need is clearly so large and, when we hear the stories of suffering mixed in with hope and a search for something better, you would think that we would all give what we could, to do our little part in helping to relieve the individuals caught up in the mayhem of war or hemmed in by the high barriers to schooling. WE NOW HAVE MORE INFORMATION THAN EVER BEFORE, yet THIS KNOWLEDGE HAS NOT FED OUR COMPASSIOn. It turns out that when we hear about millions in distress so many tune out, unable to process the largeness of the need. This fact has been brought to light and studied by researcher and psychologist, Paul Slovic of the University of Oregon. Due to a phenomenon he calls psychic numbing or compassion fade, Dr. Slovic explains that large numbers overwhelm us. Instead of feeding our compassion, they turn a quest for empathy into apathy. So many of us have become desensitized. Yet, while we turn away from scary numbers, the rise of the data-driven age has given us a deep pool of information to make better policy decisions and to target the most vulnerable. In the case of education, the availability of data has been enormously helpful in identifying children who are out of school across different age groups, income brackets and place of birth. We know, for example, that more than half of all out-of-school primary aged children live in sub-Saharan Africa. We know in which countries the out-of-school children live, the income level of their families, and if they live in the city or a rural area. We know how many children went to school but dropped out. We know how many started school late. Due to the advances in gathering reliable data, we know that globally, girls are still more likely than boys to be denied an education, and that out-of-school girls are much less likely to ever go back to school than out-of-school boys. We know that refugee children are much less likely to be in school compared to all children, globally (source: UNHCR, 2016, “Left Behind: Refugee Education Crisis”). And, we know that even children who are in school are often not learning. They are not meeting basic proficiency standards in literacy and math and that, without interventions, even those who are in school are likely to finish without the skills to get ahead, despite the great investment in education made by their families. But all of those children number in the millions, and that scares us. 617 million Children who do not meet minimum proficiency standards in literacy and math. 264 million Out-of-school children and adolescents of primary and secondary school age, globally. 202 million Children in sub-Saharan Africa who are not learning – that’s nine out of ten children in the region. 131 million Out-of-school girls of primary & secondary school age, globally. 64 million Out-of-school children of primary school age, globally. 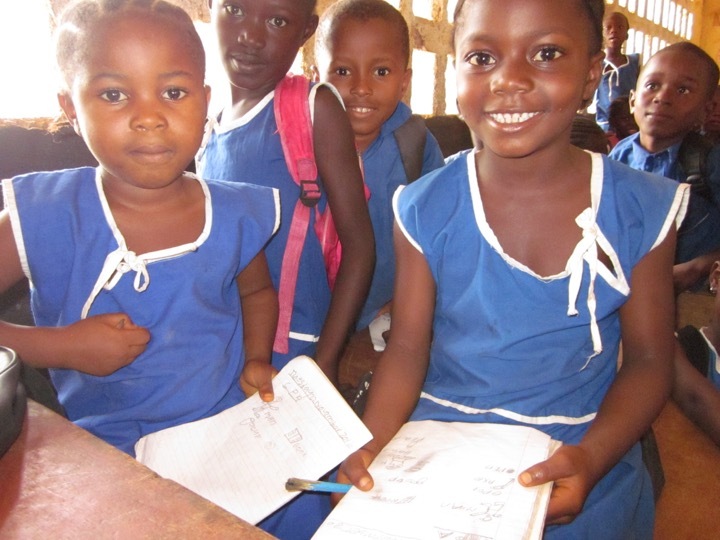 32 million Out-of-school children of primary school age in sub-Saharan Africa. 6.4 million Refugee children who have been displaced due to conflict & disaster. 3.5 million Out-of-school refugee children. In other words, we have all the information we need to make a difference. But the solutions require everyone to pitch in – regardless of how great the need, and because of it. One of the most worrying aspects of our inability to feel empathy for large numbers of people is that even when the number of children in need rises from one to two, our desire to give falls. Dr. Slovic explains this HERE. Moving photographs of a young child, such as two-year old Aylan Kurdi, who perished on the shores of Greece trying to escape the conflict in Syria, swayed public sentiment for a few months. So, it’s not that we don’t care about individuals, Dr. Slovic says. But when a photo of an individual child is accompanied by information explaining the wider scope of need, donations fall. Plus, the more longstanding the problem, the less likely we are to want to engage with it. We give to one-time crises, such as hurricanes or earthquakes which are often accompanied by massive media exposure and which have a set timeline (we know that recovery is possible), but chronic problems such as millions of children out of school and not learning, seem insurmountable. We seem to feel that such huge need can’t be overcome with a $20 donation, or $100 or $1000. But if we put the numbers aside, each child impacted by a humanitarian emergency or chronic need is an individual with a deep humanity no less than yours or mine. They each have dreams for the future, lives to live with family and friends. They could be teachers, doctors, lawyers, or poets but we’ll never know what their potential is unless they have a chance to go to school. So, does it matter if that child is one of 264 million out-of-school children and youth? If our outreach can impact one life, isn’t it worth the effort? The 60 million girls Foundation is deeply committed to reaching children in need, and the projects we have supported over the last decade have made a difference for those children. We may not able to solve the problem for all 264 million children and adolescents who are out of school, or the 617 million children who are not learning, but giving one child the confidence to learn and to excel will make an important difference in the life of that particular child. To learn more about the work of the Foundation, please visit our website at 60milliongirls.org. Please give generously. Though the need can be overwhelming, every gift counts. Please follow us of Facebook and Twitter @60milliongirls.